4 x 5 double sided self adhesive butyl pad only. For adhering reflective road markers to pavement or cement. Easy to use. Designed for construction areas or light to medium traffic areas. To apply simply peel one side and apply to ground, then peel the other side and install the marker, then press with vehicle tire. Click here for installation instructions and pictures of the butyl pads. 4" x 5" Butyl Pads - $3 each - make selection above. 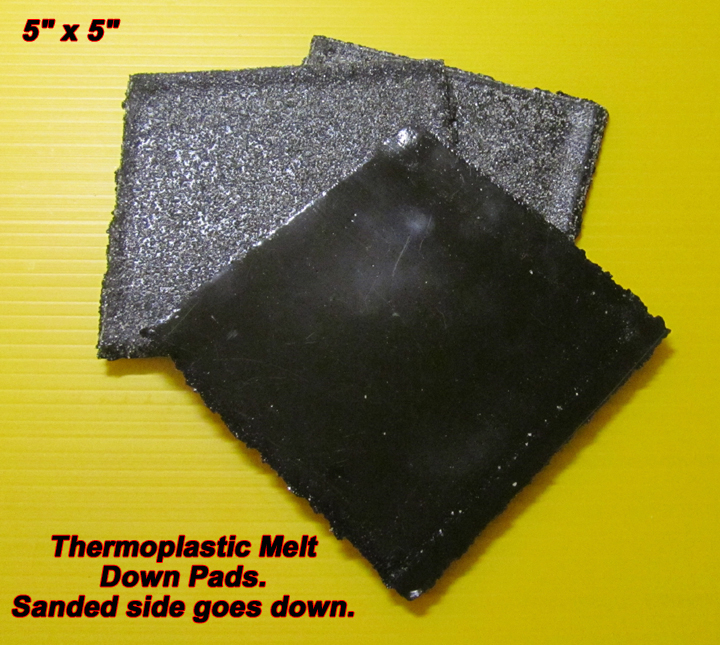 5" x 5" melt down thermoplastic adhesive pad only. For adhering the reflective road markers to pavement. Easy to use. Designed for more permanent applications or in higher traffic areas. To apply simply heat the asphalt with a torch, lay down the pad, continue heating the pad until it melts, then press on the marker and let cool. 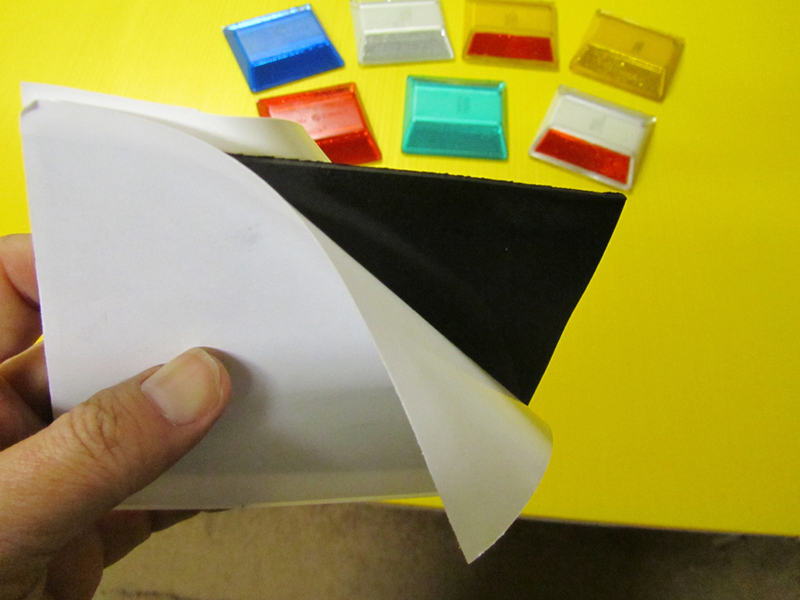 Click here for installation instructions and pictures of the melt down thermoplastic pads. 5" x 5" Thermoplastic Pads - $3 each - make selection above.